Hip dysplasia is when the hip’s ball and socket are not lined up properly. The hip joint gets damaged by the continuous rubbing. Repeated trauma (like too much high impact jumping) can cause inflammation of the joint and lead to dysplasia. Signs may be more pronounced if the dog is overweight. With older dogs, your veterinarian will rule out other conditions before diagnosing hip dysplasia.Cancer, ligament problems, nerve pressure etc. can all cause the same signs as hip dysplasia. Veterinarians have several treatment options for hip dysplasia, and will recommend one based on your dog’s age and discomfort level. 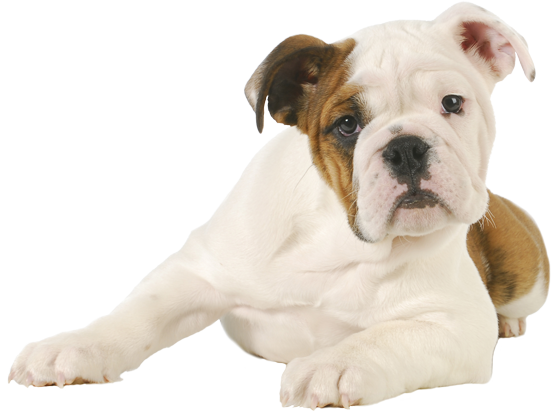 Most dogs do not need surgery for hip dysplasia. However, your veterinarian may recommend surgery, depending on your dog’s medical history and characteristics. It can be very expensive, but the recovery rates are high. If your dog has hip dysplasia, but doesn’t show any significantsigns it may never need medical or surgical treatment. Often, all that is needed to reducesigns is to help your dog lose some weight and maintain good muscle tone (because the muscles support the hips). If you find your dog hassigns after certain activities, simply avoid those activities. There is a lower incidence of hip dysplasia in mixed breeds. If you are buying a dog from a breeder, only purchase from a breeder that has their dogs OFA certified free of hip dysplasia. To eradicate of hip dysplasia, do not breed a dog with hip dysplasia, and spay/neuter a dog afflicted with hip dysplasia. With the general treatment options, some dogs may develop arthritis. With surgery, there is a great prognosis for full recovery if it is done before the dog develops arthritis.